Allison is the Producing Artistic Director and a founding member of Kokandy Productions. Previous Kokandy credits include: Loving Repeating (Jeff Nomination – Direction – Musical), Assassins (“Lynette ‘Squeaky’ Fromme”), The Last Five Years (“Cathy,” Jeff Nomination – Principal Actress in a Musical), and The Great American Trailer Park Musical (Music Director). Other credits include: “Amy” in Company (Writers Theatre), “The Baker’s Wife” in Into the Woods (The Hypocrites), “Jimmi” and Music Director in Cities of Light (Piven Theatre Workshop), Associate Music Director/Conductor for Floyd Collins (Boho Theatre), Music Director for Zanna, Don’t (Bailiwick), and Music Director and recipient of NIETF Award for Best Vocal Direction for Floyd Collins (Towle Theatre). 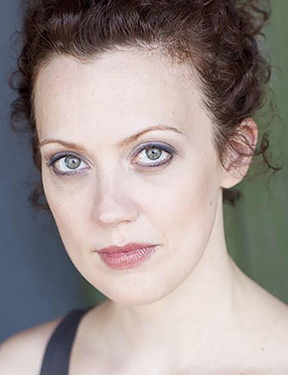 Allison also works with the Chicago Academy for the Arts, as a Teaching Artist with Broadway in Chicago, and as a vocal coach and accompanist for the Music Theatre program at Northwestern University.